Hi Angels, How You Spend Your Weekend ? 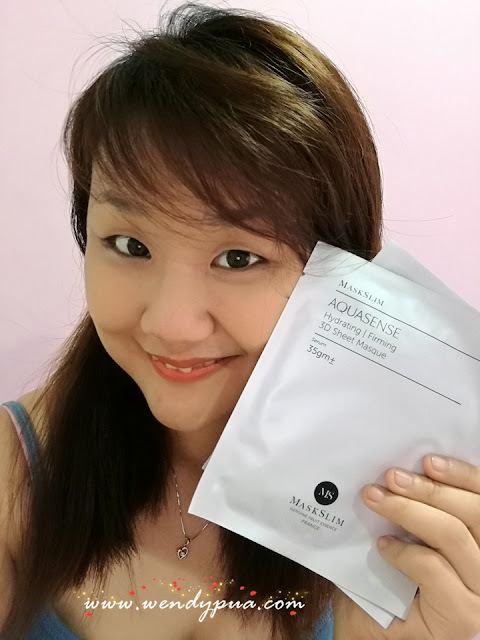 Let's Check Out MaskSlim Aquasense Hydrating Sheet Mask now ! Once I open the Mask Sachet, I was so surprise and scream ! OMG, These mask prints is so Cute! 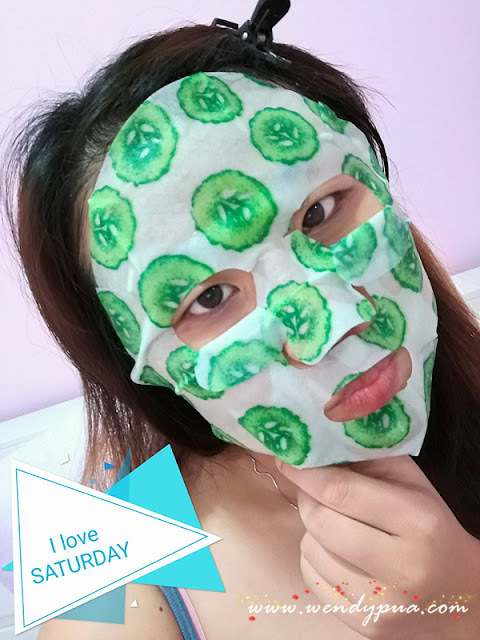 All cucumbers prints over the MaskSlim Aquasense Hydrating Sheet Mask ! Now come to Smell Sense & Touch Sense of it! 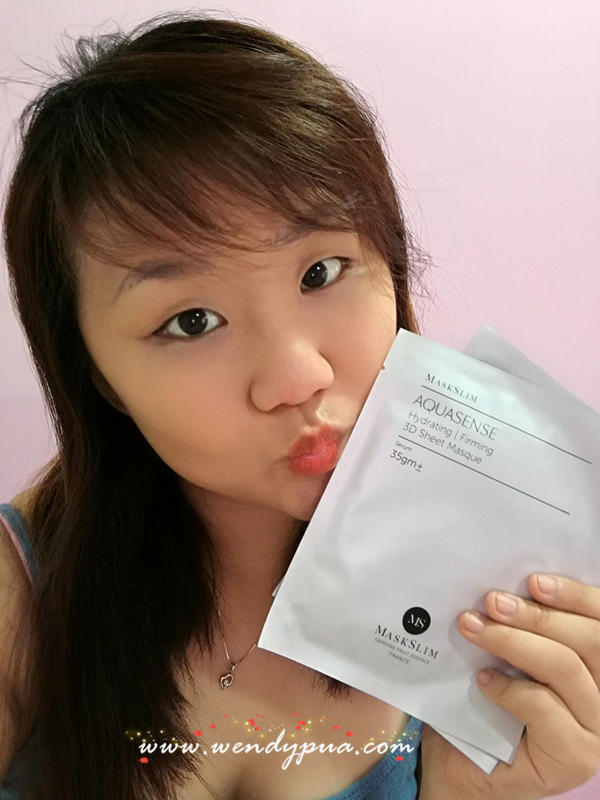 I am wondering how's this MaskSlim Aquasense Hydrating Sheet Mask smell? The cucumber prints are not for illustration purpose only! 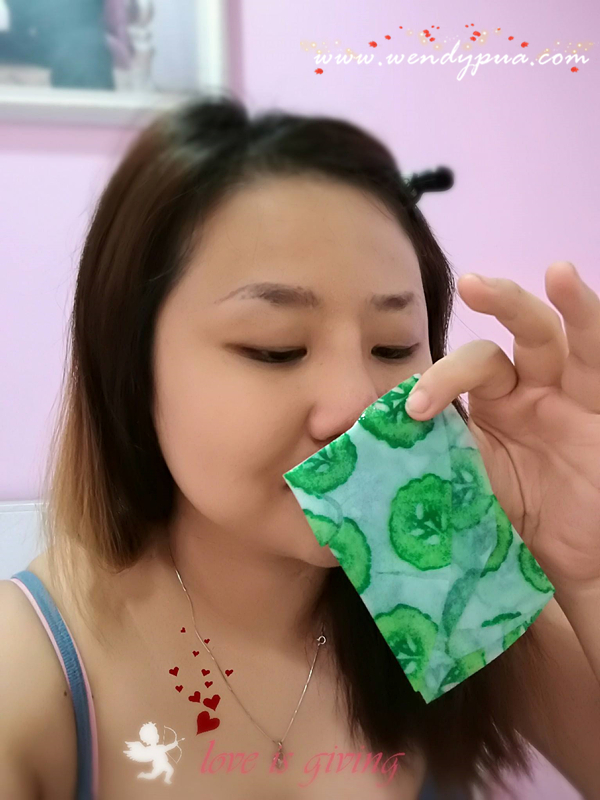 It really smells like Cucumber too! so refreshing for a lazy Saturday! close your eye and take a deep breath. you seem to like in garden right after raining! The serum in this mask is right enough for my face! get to put on some serum on my neck as well. The mask texture is really fine. 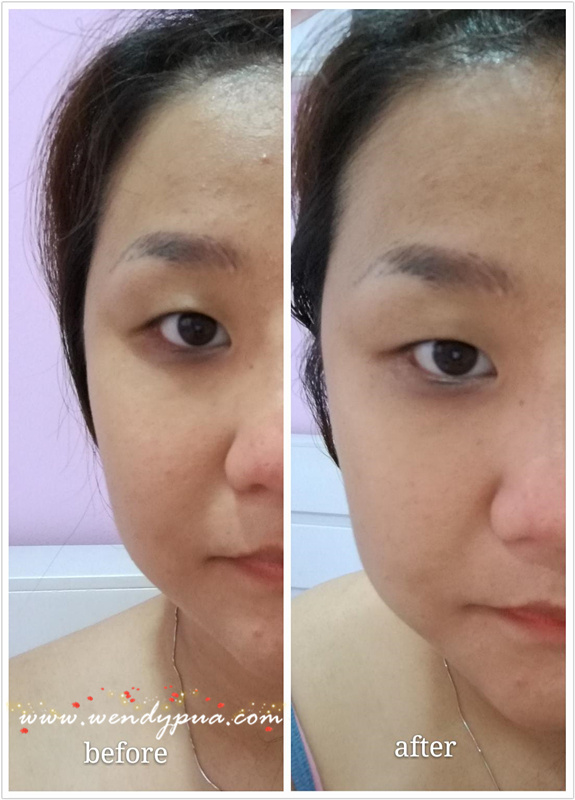 I think it is very great for skin. it is fully covered eye area ! I felt so refreshing and almost falling a sleep after 25 mins applying it. From both photos , it looks brighter, soothing my acne redness on my forehead. Then I massage the remaining serum all over my face, it is really fast absorption into my skin! Or it is my skin too dry?? It is all about Masking Ya! 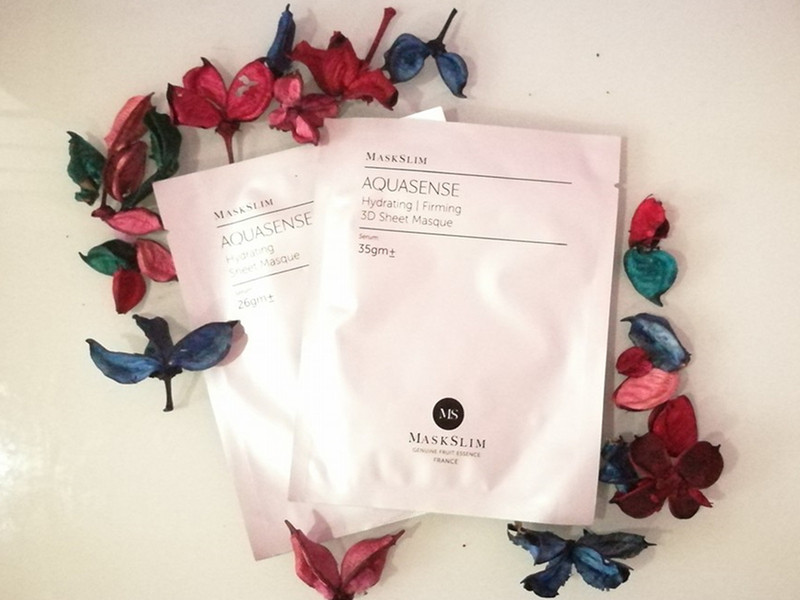 Love My Review & Wanted to Try it NOW? 2 benefits in 1 Mask! Ammm......How is 3D Sheet Mask looks like?? This is super interesting!! And the result looks good! wow...the mask looks so cute! !can clearly see the result!! I've been using another brand of mask lately. Perhaps I should also try this for the different benefits. Hahaha! 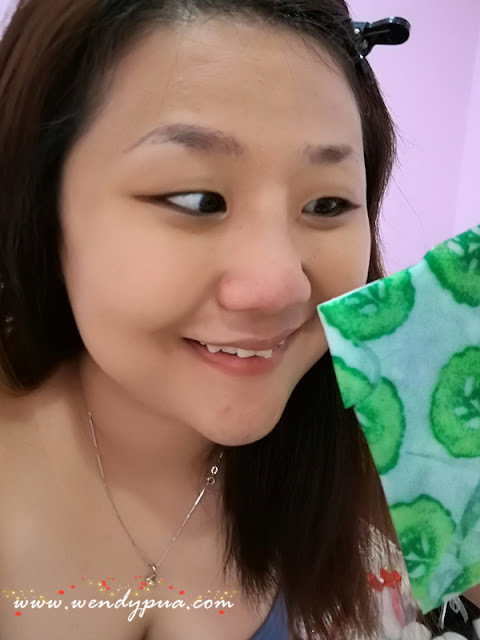 The cucumber prints are so cuteeeeeee! I love cucumbers beauty benefits ! Seem the mask is not bad! I love cucumber mask too. Refreshing! I like to put on the mask and take a nap. Seems like you enjoy throughout the face mask time, pampering ourselves is not wrong right. Awwww~ I never heard about 3D mask before~ will stay tuned for your next post! Waa I like the cucumber pattern on the mask! And it's looks super moisturizing too!! I'm impressed! 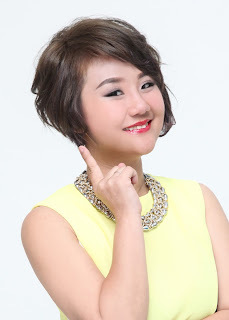 The results are so good on ur skin! It immediately looks more hydrated and evens out ur skin tone! Less messy than using actual cucumbers for sure! I have not try this range of mask yet. But MaskSlim masks are quite good and moisturizing. I want to smell the refreshing cucumber scent too!! I heard the mask is good and I have not try it yet. Will consider the mask after my mask finish.